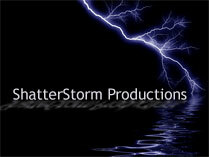 Many thanks to Maddog @ KimandKerry.com for allowing us to resurrect this site. Notes From The Firehouse: Columns and essays devoted to our favorite feisty firefighter. Episode Summaries: Every moment of Kerry & Sandy screen time documented by a team of trained professionals. Verbatim: A collection of quotes from various media outlets regarding the Weaver/Lopez relationship. The Backstory of Lt. Sandy Lopez: Everything you wanted to know about Sandy, but were afraid to ask. Note: The screencaps didn't survive the move. If anyone has screencaps they'd like to have hosted here, please contact us. Note: The fanart didn't survive the move. If anyone has fanart they'd like to have hosted here, please contact us. Note: The FAQ didn't survive the move. If anyone has this info or is willing to create it, please contact us.